To sort of paraphrase an Andrew Gillum quote, it doesn’t matter wether or not Trump is anti semitic and racist, because anti semites certainly feel he’s anti semitic and racist. So now we come to the absolutely disgusting story in question, when an individual shouted “Heil Hitler” and “Heil Trump” during a showing of “Fiddler on the Roof”, that musical which celebrates and discusses the Jewish faith, at the Hippodrome Theater in Baltimore. This another in a line of anti Semitic acts in the wake of Donald Trump. 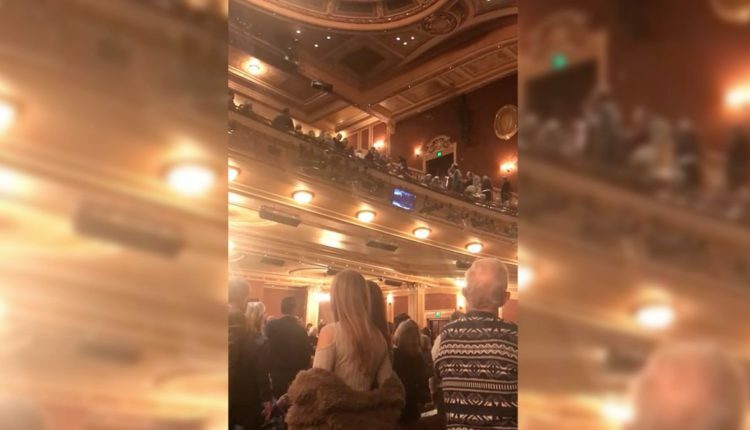 It’s not stretch for theater goers to have feared the situation would escalate given the amount of mass shootings that has happened this year. There have been 307 mass shootings in 2018, Including a recent shooting in Thousand Oaks, California where 13 people died at a popular bar, which was hosting a college night. According to Business Insider, Americans are more likely to die from gun violence than many leading causes of death combined, with some 11,000 people in the US killed in firearm assaults each year. Mass shooting are now so common, that this man who was a victim in the Thousand Oaks shooting had also narrowly escaped the Vegas shooting in 2017. What do you think about what this man shouted in the theater? Let us know in the comments or on Twitter at @WhatsTrending.